After a very successful reading month in July of 8 books, August kind of knocked me six with the whole pregnancy thing. I really struggled to find time and motivation to read when I was feeling poorly a lot of the time – normally when I’m not feeling great, reading helps, but I ended up sleeping a lot more than anticipated. Nevertheless, still some reviews to share! Plot: Claire is a struggling actor, having moved from the UK to America to try to make her way, with a slightly unusual job – she’s works as a decoy, cash in hand, for a firm of divorce lawyers, trying to trick partners into giving themselves away so their client can get the best deal. When the wife of one of her targets is murdered, the husband becomes the number one suspect and her skills are employed to try to catch him out. But is he really the killer and how can she found out what’s really going on? My thoughts: Wow, was this a twisty read! 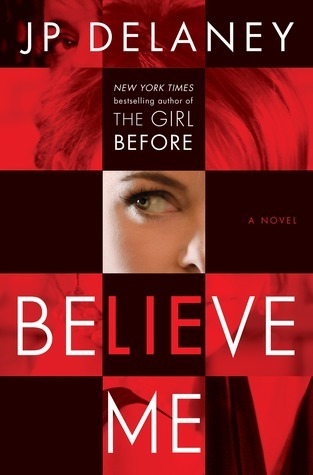 I love psychological thrillers with twists that keep you guessing, and this truly fit that description – you’re never quite sure who’s the victim, who’s playing who, and “believe me” (ha ha…), trust no one. Like many books of this genre, the protagonist isn’t a particularly likeable character, but boy, is she an interesting one! Seeing the story through her unreliable eyes is what gives it such a unique view point. At times, the storyline did seem to run ahead of itself and slightly out of the realms of realistic, but like I’ve already said, it was twisty and a really fun ride. Highly recommended if you’re a fan of books like Gone Girl – and that’s not a claim I make often! Plot: When Cecelia is the last mother to leave the pool after swimming lessons with her daughters, she doesn’t imagine that she’ll be going home with another child in tow. No one has come to collect Tobias, so she gathers him into her car to drop him off at his home, only to find an empty abandoned house. All she can do is take him home with her and try to figure out what’s going on, but it turns out to be not quite so simple as it throws up memories and figures from her past as well as creating more questions than answers. My thoughts: Another good twisty thriller that threw me a couple of times! I really loved the setting of this in normal everyday suburban Norway that was cold and atmospheric. Cecelia is an interesting character, constantly worried about appearances and how the rest of the town sees her, living the “perfect life”, but in reality, hiding behind it all. The dips in and out of Tobias’ former life were pretty harrowing at times, but really fleshed out and built the story well, making it a clever, multi-layered story. 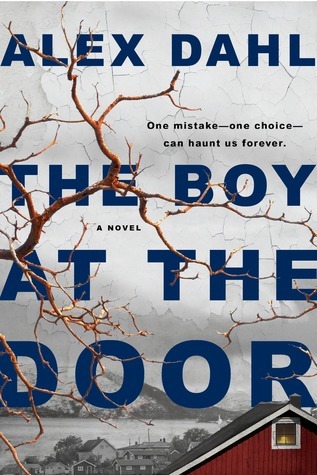 I’ve seen this book described as “Nordic Noir”, and I’d agree with that – it was dim, but not too dark; saddening, but not completely distressing; and it had a good storyline. I really enjoyed this read. 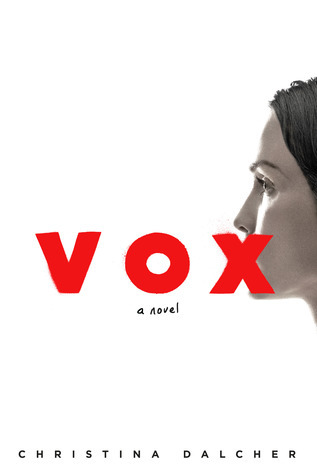 Plot: In a near-future in America, half the population, the women, have been silenced. With only 100 words to use a day, and physical punishments if they surpass that total, their voices are not heard. Jean McLellan was once a successful linguistic scientist; now she can no longer work or even show her young daughter that women can have an opinion. She knows the consequences this can have on not only the individuals – girls who do not have a voice – but on society in general. But is it already too late? My thoughts: Wow, this was a fascinating premise that I wish I could have come up with, and the rest of the book to match was pretty awesome too. Not only did the promise of a dystopian society like no other deliver, but a fairly action-packed story followed, where women are fighting for not only their voices, but their lives. I found myself measuring my words as I read it, wondering at what point I would have had to stop speaking and realising just how truly awful having your voice limited like that is. The comparisons to The Handmaid’s Tale (reviewed here) are, of course, rife, but it’s a very accurate comparison that’s serving only to make the book more popular and visible – it’s a pretty fortuitous time for this to be thought up and published when The Handmaid’s Tale is experiencing a resurgence thanks to the TV series. I honestly really enjoyed this read and would highly recommend it. Plot: Widowed artist Beverly Vernon, living alone in Florida, is struggling to come to terms with how her life is now, with her children living far away and no grandchildren in her near future. Instead, she paints a picture of the grandchild she wishes she had. But then she makes a grim discovery: the bones of a child in her backyard, hidden away under layers of discarded bricks. Soon she begins to notice strange things happening in her house: did the portrait really change, and how did those things appear where they weren’t before? Trying to uncover the truth about who the child was and why these things are happening isn’t easy. My thoughts: This wasn’t a bad read, but not a favourite. 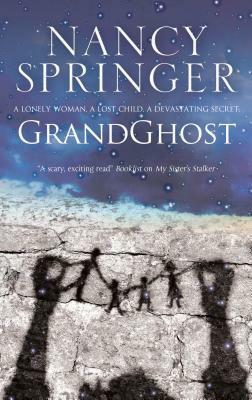 It was pretty quick and easy, and even though the subject matter is to do with a child’s ghost and body being found, it was quite a light read too. I loved the setting in Florida, and I loved the quirkiness of the main character. The only problem I had was that it wasn’t written in a style I particularly enjoy – it was just a little too on the chatty side – and, at times, wasn’t quite as gripping as other books I’ve read. Nevertheless, it made for a good filler read. Plot: Angela Wong disappeared in high school, and now, 14 years later, her body is found and it’s discovered she’s a victim of killer Calvin James, then-boyfriend of Georgina (Geo) Shaw, who has been keeping the secret all this time. Geo is a successful career woman who is pulled out of her workplace and sent to prison for withholding the information. While everything thinks they now know the full truth, is that really correct? And how long is it before a secret really catches up with you? When new bodies begin to turn up, the real truth begins to come out. 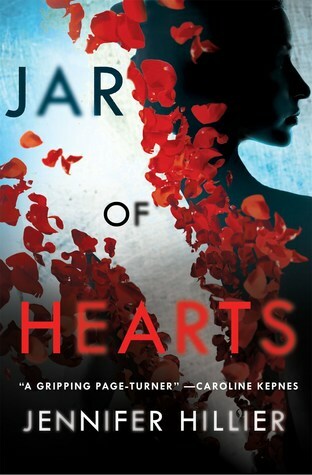 My thoughts: This was a very good thriller with characters that were well-formed and a story that was exciting. The relationship between the two girls before Angela’s disappearance is very true to teenage real life, and throwing in a relationship with a “bad boy” that adds a layer of envy to that is even more interesting. I also really loved the character of Kaiser, the police chief who was also in their friendship circle at school – it adds another element to the story to make it all the more confusing in terms of emotion, but throws in further twists to the tale. All in all, it was a really enjoyable read and one I would definitely recommend.